The 2017 Mazda Miata Cup takes off with another exciting season as 17 MX-5s of all four generations race in this year’s first two rounds held at the 4.2-kilometer Clark International Speedway last May 12th. Organized by the Miata Club Philippines and run exclusively by its members, the series showcases the club’s special fascination for motor sports and serves as a venue for MX-5 owners to truly experience the true nature of their cars. 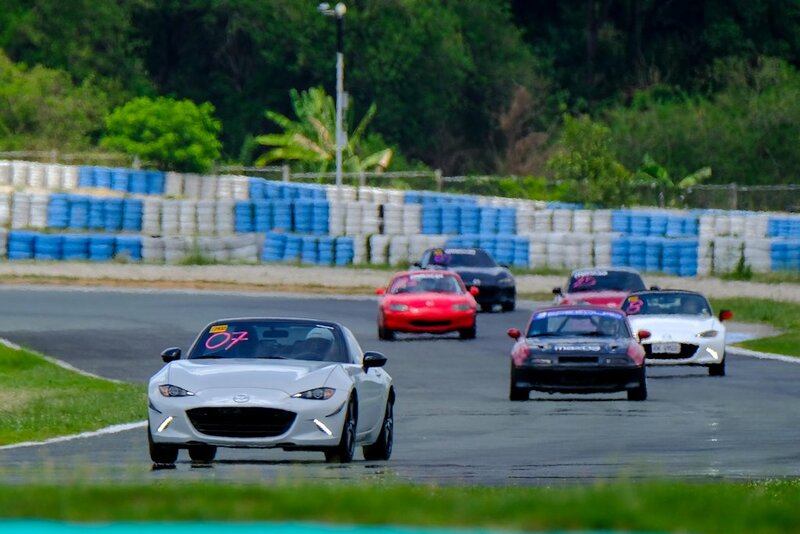 Now on its ninth year, and with the support of Mazda Philippines, the Miata Cup continues to give MCP members the opportunity to truly drive their cars and experience the MX-5’s renowned handling and driving feel in the safe and controlled environment of a proper race track. This year, Aggressive Line Events Management led by President E.Z. Ligaya will run the 2016 Mazda Miata Cup at the Clubman Racing Series events this season. Succeeding rounds this year will be held on July 16th and October 15th at the Batangas Racing Circuit, then back again at the Clark International Speedway on November 19th. For the past three years, the Mazda Miata Cup has run five different classes based on the participants’ actual lap times around the track. This ensures minimal cost for competing in the event while at the same time leveling the playing field by grouping racers together according to their actual timed performance on the track. I want to see a Mazda 3 skyactiv cup next. Bromance on this race will be very intense. A far better drive than the BRZ and 86. Yep, if you love body-rolling with yo sistahs. Guys..there's nothing wrong with being gay. Those haters that say the Miata is "gay" have not actually driven one and/or are secretly jealous of those that have one.